We're thrilled to introduce you to the new version of Front! We've worked hard to make sure the new Front is faster, more intuitive, and better than ever. The Front web and desktop apps have been completely rewritten in a new coding framework, to help your actions in Front feel instantaneous ⚡️This new foundation will enable us to build more new features, faster. If you use the Front desktop app, be sure to quit and restart your app before your transition and update your app when prompted. That way, you're ready to get the latest version when it's released! 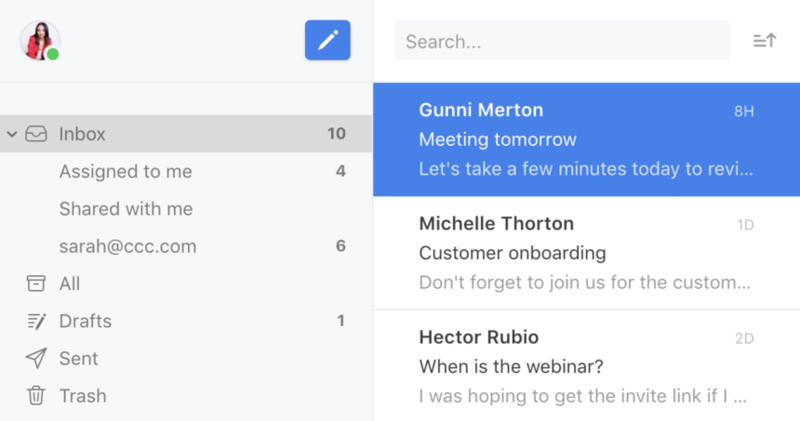 Your Inbox brings together all the conversations you're involved in: assigned to you, @mentions, or private emails if you manage them in Front. Rather than checking your old Following section or Notification Center separately, you'll just check your Inbox. When you're subscribed to a conversation, you'll see new replies and comments show up in your Inbox in the Shared with me section. If you don't need to see the latest conversation activity, click the bell icon to Mute the conversation. Muting silences a conversation until you're @mentioned again, so it stays archived for you even when there's new activity. You can find your muted conversations in your All folder. Think of subscribing and muting as the new version of "following" and "unfollowing"! 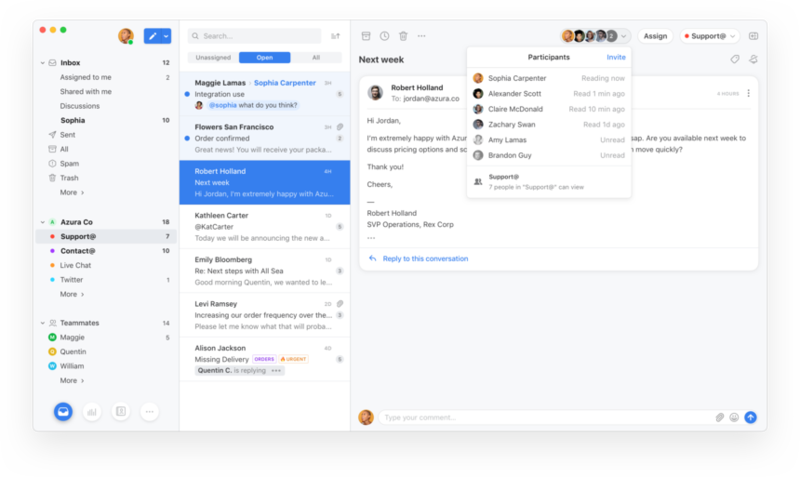 When you're working on a conversation with multiple participants, you can archive or snooze it just for yourself, and it won't impact your teammates' workflow. The conversation will stay in their inbox until they archive or snooze it themselves, so they can see the latest comment or reply. Wondering who else is working on the conversation? Use the new participants menu to see who's involved. Whenever a teammate has replied, commented on, or subscribed to the conversation, you'll see them in this menu. 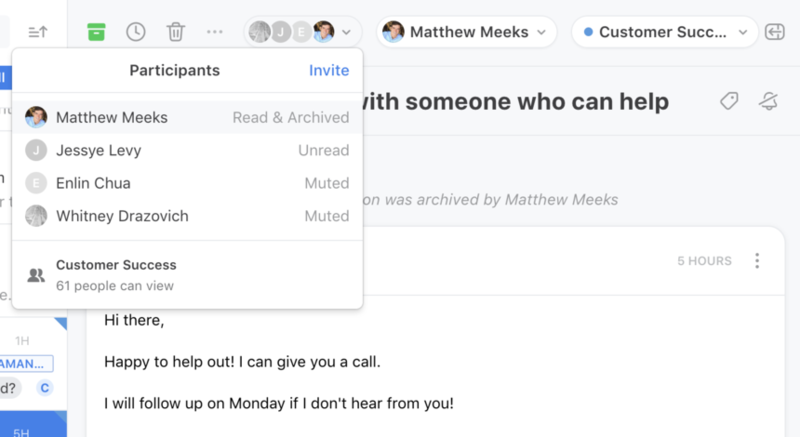 If a teammate has muted, you'll need to @mention them again for the conversation to pop up again in their inbox to see new comments or replies. You can also see when participants have last read the message, you know whether or not they've seen the latest. When you and a teammate are both cc'ed on a conversation, Front will automatically merge those conversations when you @mention each other. That way, you don't end up with duplicate copies in your inbox. However, maintaining your privacy is critical. When there’s conflicting information in one of the copies, like if you’ve already @mentioned your manager, Front will not automatically merge your conversations when a teammate @mentions you. Rules can now trigger other rules! Now that multiple rules can trigger in a sequence, you can create master "escalation" rules that are triggered by actions done by other rules. You'll also be able to customize your rules further with new AND/OR conditions. Over the last few months, we have released a slew of new features exclusively in the new version of Front. Explore what's new when your team transitions to the new app! We're working to move customers to the new version of Front as quickly as we can! After our initial release on October 30th, we'll be continuing to transition customers to the new app through the end of April. We are migrating customers on a rolling basis throughout each week. Quit and restart your desktop app and update your app if you're prompted to. That way, you're ready to get the latest version. Clean up your Following folder. Unfollow conversations you don't need, and encourage assignees to archive conversations they've handled. 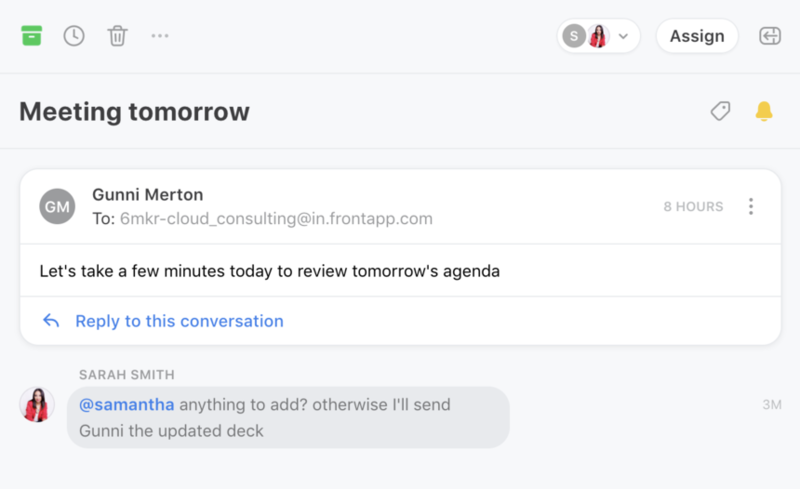 These conversations will start coming to your inbox when there is new activity, so cleaning up Following now can help ensure a smooth transition. On your transition date, you can log into app.frontapp.com or your desktop app as usual. 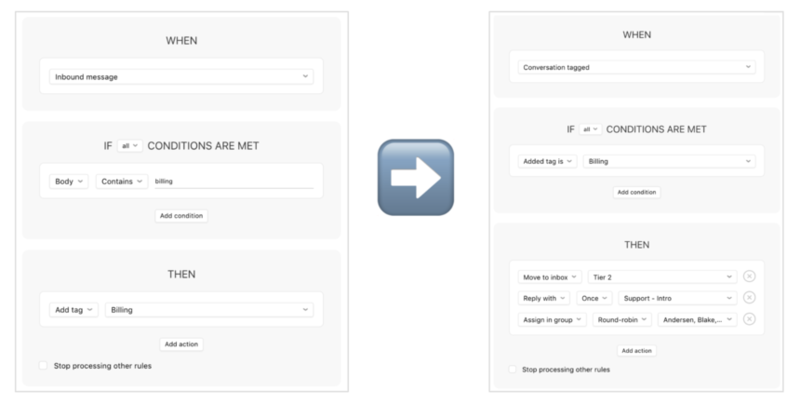 When we make the switch for your team on our end, you'll see the new version of Front automatically. You'll need to be running the most current version of Front to see the changes, but otherwise the transition will happen automatically. If you don't see the new version of Front and you've received an email saying your team has been switched, please try refreshing or restarting your app first and follow the prompts to update. On a Mac, you can also "Check for updates" in your app settings menu. We're pumped for this updated! Can you migrate our team to the new version of front? Do the new changes affect the way the API currently works? Sonya L Green Hi Sonya, the API stays exactly the same, no changes after the app update! Is there a way to adjust the color/background/theme of Front after the new update? I'm finding the mac app almost unusable with the all-white color scheme. It's hard on the eyes and our team isn't a fan. Thanks for reaching out! We are definitely considering building support for a dark theme option in the future, and will let you know when it is on our roadmap! Feel free to check in with us should you have additional questions by using our "contact us" form on this Help Center. I agree with Christopher Brown A new theme option ASAP would be appreciated. The new theme is too "light" between windows/panes.